So far I have talked about two mobile learning resources, Kahoot and Socrative. The third resource I have recently learned about is Infuse Learning. I first heard about Infuse Learning at ISTE 2013 and then again at FETC 2014. I figured it was time for me to check it out! 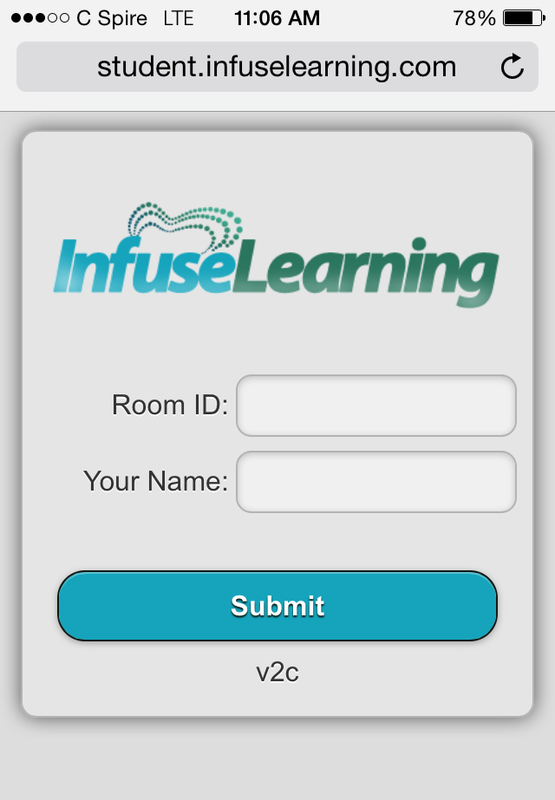 Infuse Learning is a cross platform assessment platform for teachers and students. To start, teachers create a free account at www.infuselearning.com. Once the account is created, teachers could start with on the fly questions or dive in a little more with creating assessments and classes. The enrollment type for my session is open. In order for students to join, they go to student.infuselearning.com on any device that has Internet access. The screen will prompt the student to enter the Room ID (located on the upper left corner) and their name. The Quick Assessment question types are what I call "on the fly" questions. You can ask these at any point during a lesson or activity. These do not require any prep before hand, hence the name. 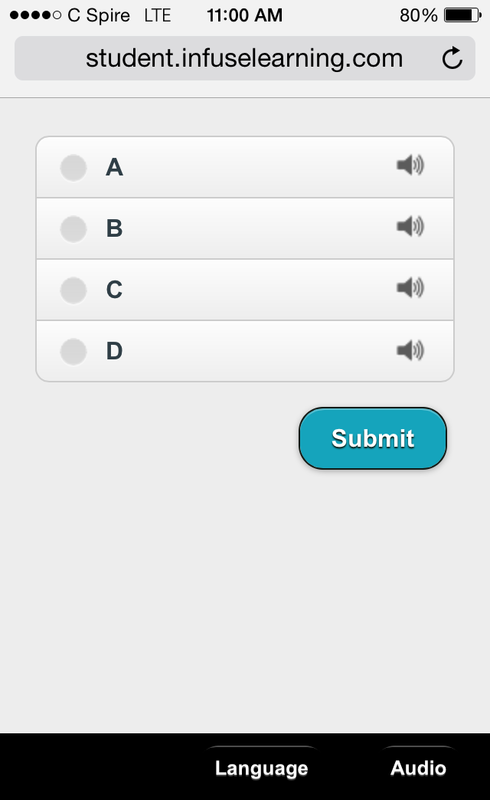 For example, if you were to ask a multiple choice question, the students would see this on their device's screen. Notice, there are no answers next to the multiple choice options. The students either have something in front of them or something was asked verbally. - Draw Response - The students can draw their answer and submit it. - True/False - The students can select true, false, or don't know. - Multiple Choice - The students can select from a section, depending on how the teacher creates it. - Sort in Order - The students can place multiple items in order, depending on how the teacher creates it. - Open Ended Text Answer - The students type in their answer. - Numeric - The students type in a number answer. - Likert Scale - The students select depending on how the teacher creates it. If you want a more formal assessment, you can create a quiz within quiz management. There is more to Infuse Learning than I have talked about, so if these features excite you then I encourage you to check it out!